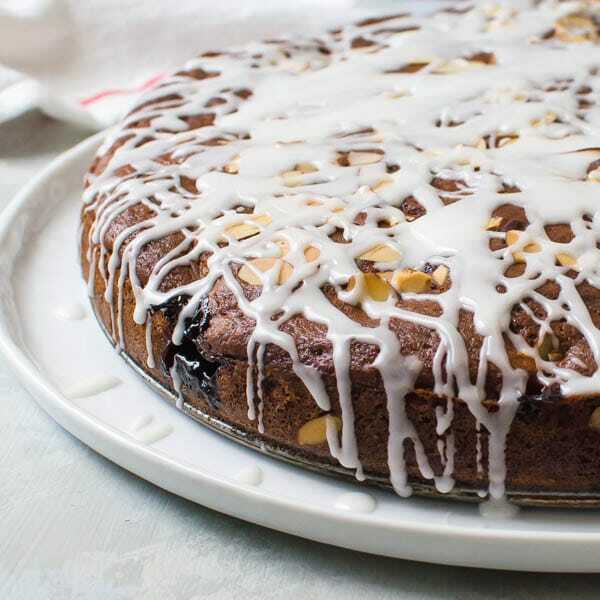 Want an easy, delicious coffee cake for your next Sunday brunch gathering? Look no further! 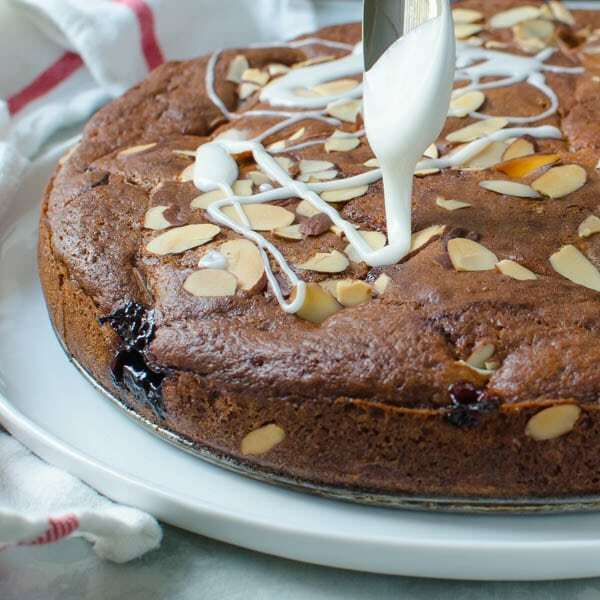 Glazed Cherry Almond Coffee Cake is here! Whether it’s for a special occasion (like Easter Baking Ideas, ahem…) or just because, homemade coffee cake brings out the kid in all of us. 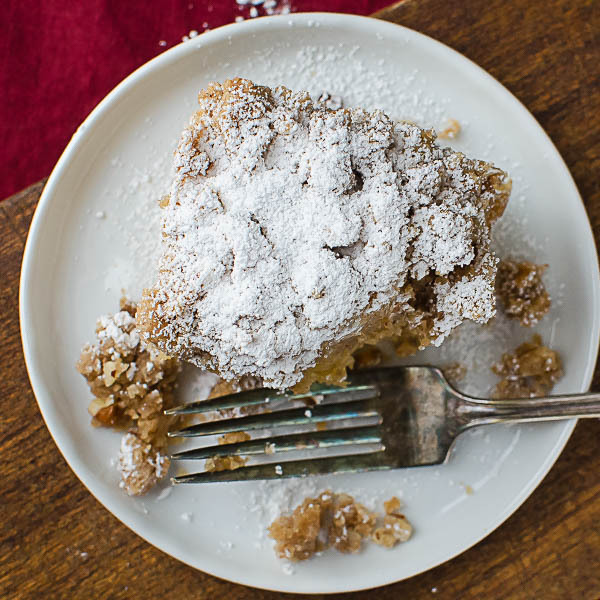 Coffee cake is — after all, CAKE. But some genius — at some point, put the word “coffee” in front of “cake” and suddenly it was okay to eat dessert for breakfast. This is sound rationale. I like it. 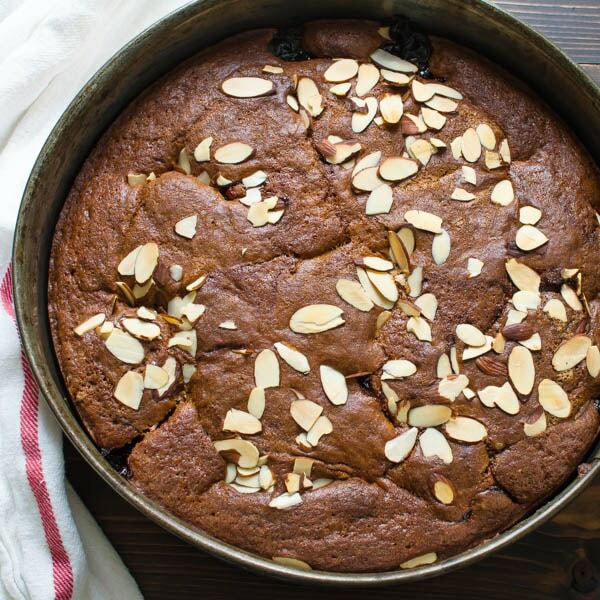 And you’re gonna love this Glazed Cherry Almond Coffee Cake. 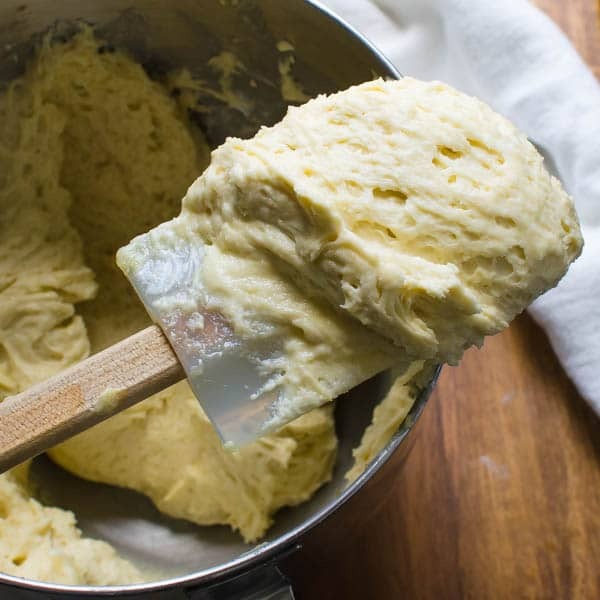 Start by spreading 2/3 of the batter evenly over the bottom of the pan. 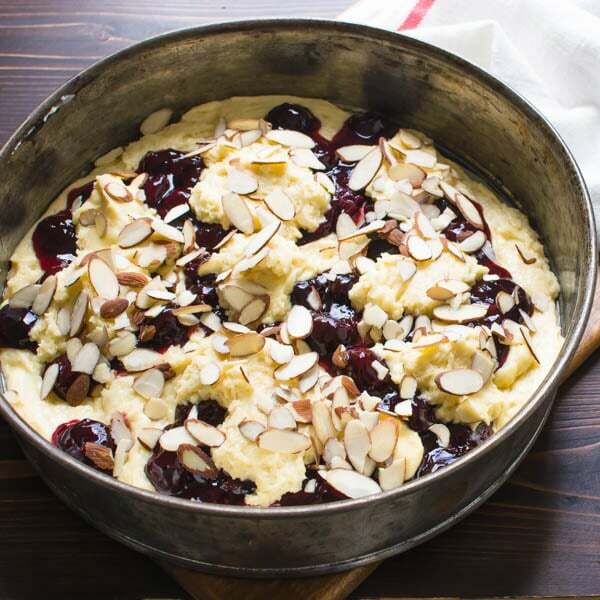 Drop the cherry compote by spoonfuls over the batter — do not spread it around. 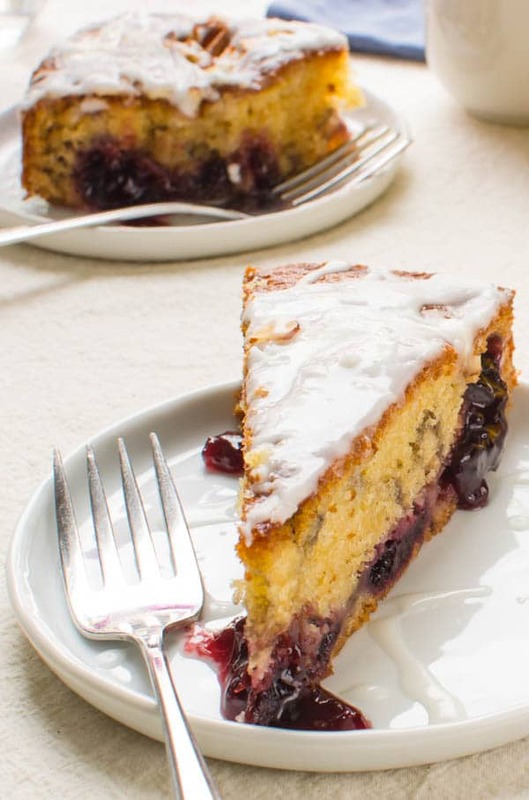 Drop spoonfuls of batter randomly over the cherries and the rest of the cake — do not smooth it over — just let it be. 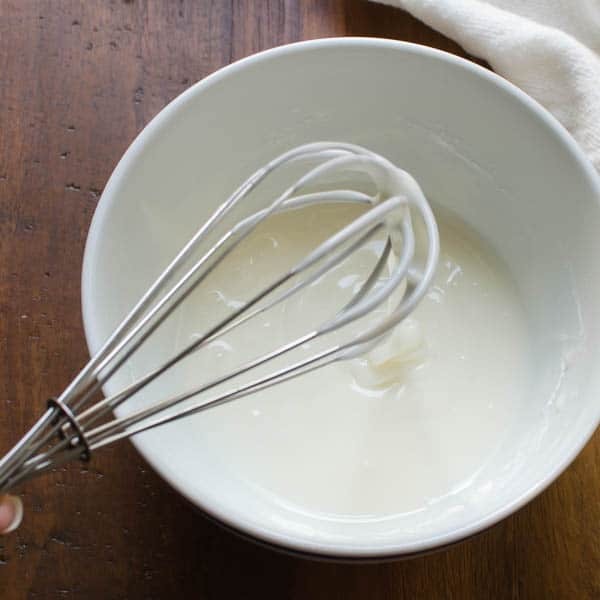 While the cake cools, make a simple glaze with powdered sugar and half and half. Drizzle the glaze over the cooled cake and let rest until the glaze sets — or if you’re impatient, just cut into it and go to town! I won’t tell. 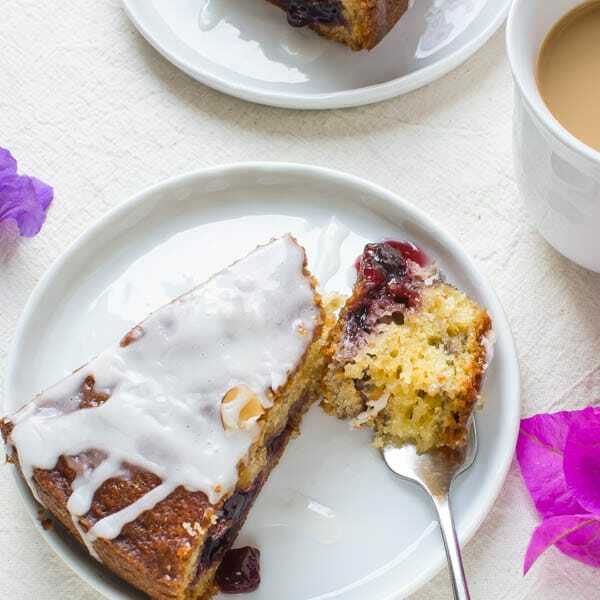 This Glazed Cherry Almond Coffee Cake is special enough for Easter or Mother’s Day brunch, but easy enough for any occasion and feeds a crowd. It can be made the day before – or if you REALLY want to make it in advance… bake the cake, then wrap it in plastic wrap and heavy duty tin foil and freeze it. It’ll keep well frozen for up to a month. On the day you’re serving, take it out of the freezer and let it thaw to room temperature. Drizzle with the glaze and let it set. How genius is THAT? 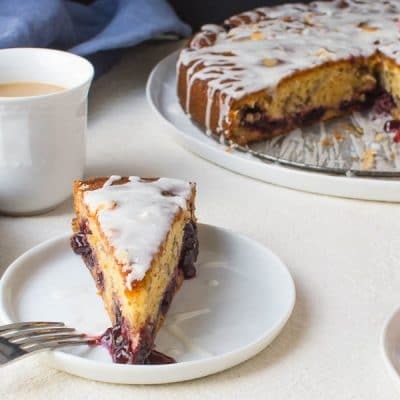 Cherries and almonds are a classic flavor combination and they pair beautifully in this special occasion coffee cake. 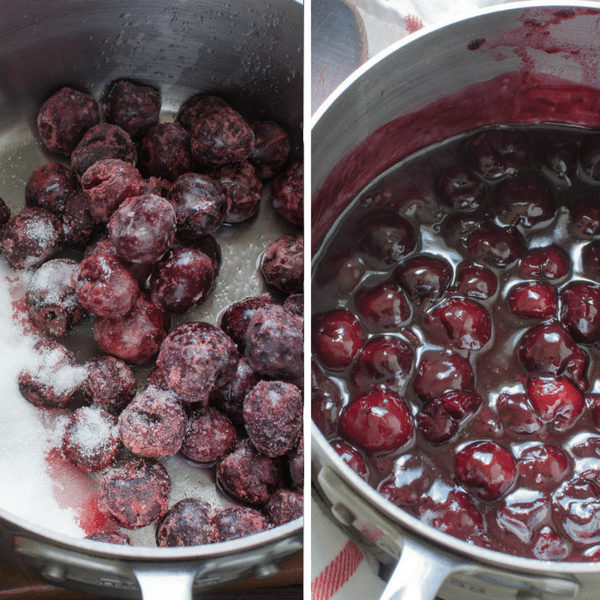 In a large saucepan combine the cherries, sugar, lemon juice and 1/4 cup water and bring to a boil. 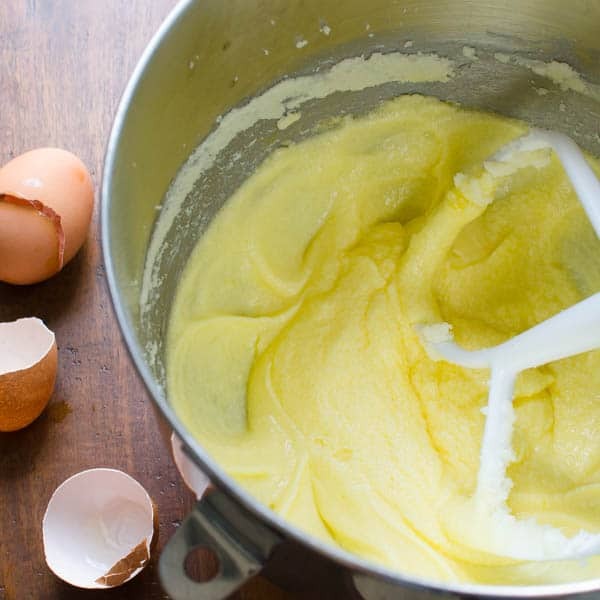 Spread 2/3 of the batter evenly in the bottom of the springform pan. 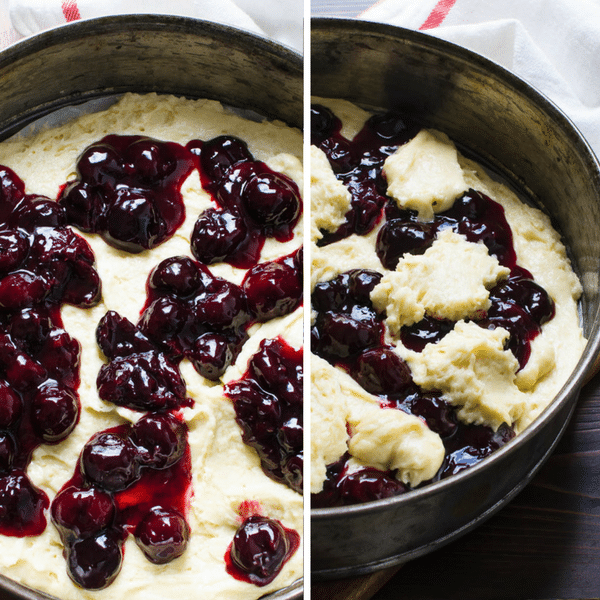 Drop cherries by the spoonful over the surface of the batter. Spoon remaining batter in dollops over the cherries. 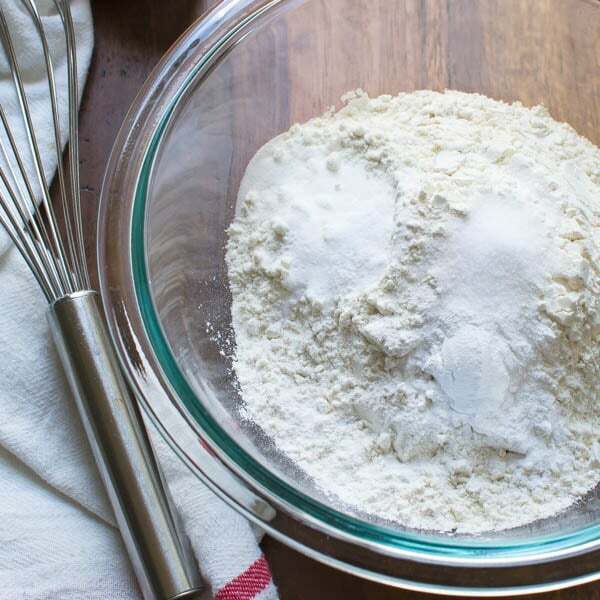 In a small bowl combine the powdered sugar and half and half and whisk until smooth. 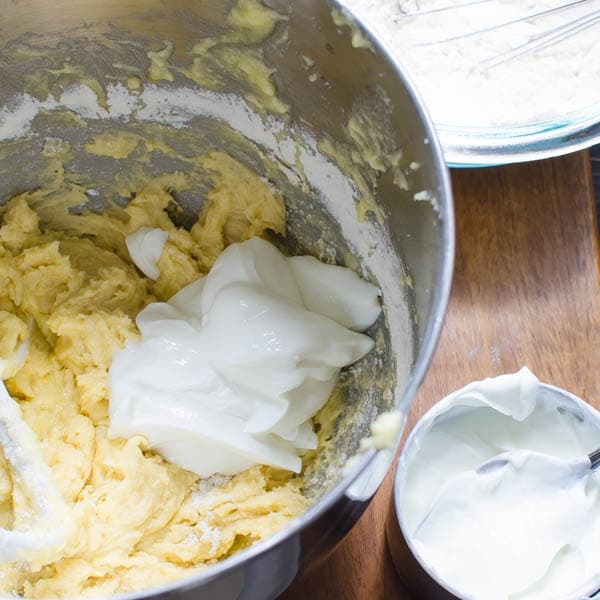 Run a sharp knife around the perimeter of the cake pan. Release the springform and transfer the cake to a platter. Drizzle the cake with the glaze and let it set up for about an hour to harden. Serve. Oh Lisa this cake looks so delicious!!! Love all your detailed process shots too! This cake looks amazing and will definitely be trying soon! Damn! I so want a piece of that right now!! And you’re right! The guy, or gal, who came up with coffee cake was a genius!! I can’t wait to give this a try! Fresh cherries will be coming soon! 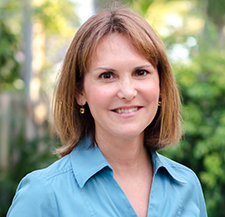 I know – can’t wait for the fresh cherries! 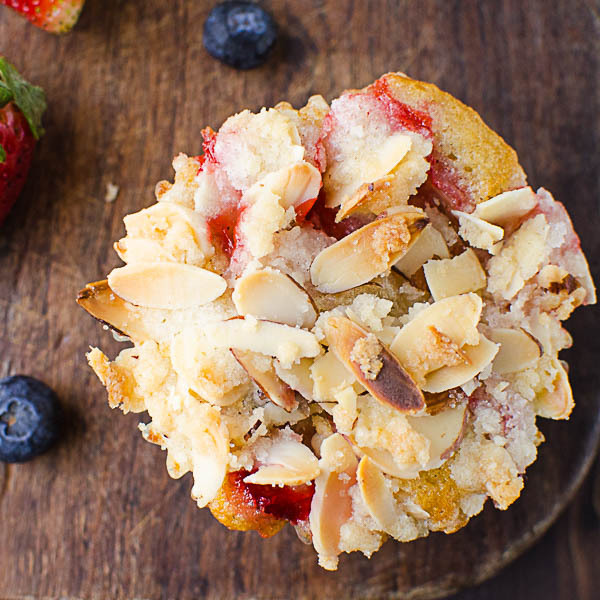 now that is one yummy looking coffee cake! Glad you like it Claudia! Now that’s a real treat with a cup of coffee. 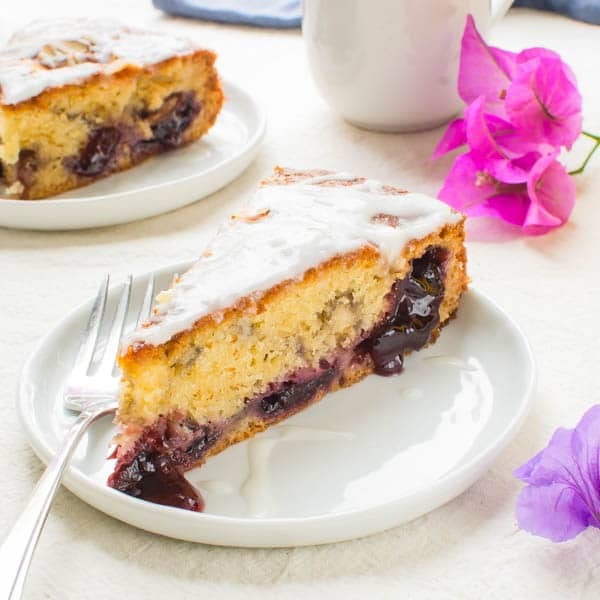 Hard to resist the cherries and that glaze top of the cake …yum! Canned cherries definitely do have a weird flavor. I want the convenience but I know I will regret it in the end! This recipe looks so delicious! Glad I’m not the only one who thinks so.